“Thank you,” I reply, relieved. We haven’t told anyone about my pregnancy yet because Christian and I decided to wait until Thanksgiving when we could get everyone together and tell both of our families at one time so that we wouldn’t have to deal with the drama of who to tell first or what would happen if one of our parents found out from someone who wasn’t one of us. Unfortunately, making sure everyone finds out at the same time has been harder than I expected. I’ve been fighting with my mom for two weeks now to try and get her to come spend the holiday with me and the Greys’, which, until this moment, has felt like a losing battle, and keeping the secret from Grace and her baby senses has been like a rabbit trying to hide from a bloodhound. I’ve only been back to Seattle once since we found out I was pregnant, the first weekend after I told Christian, but just that one weekend was almost enough to blow the lid off of everything. After almost a whole day of non-stop vomiting, I spent that Saturday night in the Emergency Room at the hospital Grace works at for dehydration, and we were only just able to avoid her as she rushed in in the middle of the night for a patient who needed an emergency appendectomy. Unfortunately, I was diagnosed with Hyperemesis Gravidarum that night and it has been like a neon sign announcing to the world that I’m pregnant. The nausea has been out of control and, after having brunch with the Greys the following day and subsequently running off to the bathroom because Gretchen set a plate of salmon in front of me, I know Grace suspects something. I can hear the suspicion in her voice every time she calls. Thankfully though, my Contemporary African American Literature professor has assigned a hugely weighted test for the last day before Thanksgiving Break, so I’ve spent the last two weekends at home studying, rather than back in Seattle under Grace’s ever vigilant gaze. Christian hasn’t been thrilled, but I’m relieved. I know I couldn’t have made it through two more weekends without slipping up somehow. I hang up the phone, letting out another sigh of relief, and then look at the snow falling steadily outside my bedroom window. Winter has pre-maturely reared its head in Cambridge and it hasn’t come quietly. Already there’s close to six or seven inches outside and it’s only supposed to get worse over Thanksgiving break. After one last glance around my room to make sure I haven’t forgotten anything, I pick up my backpack and jacket, then grab the handle of my suitcase and head for the stairs. Before this test was announced, I’d actually thought I was going to get out of Cambridge on Wednesday and have some extra time back home. That didn’t end up being the case and after the argument I got into with Christian when I told him I’d be here two days longer than he originally thought, Luke and I have made a plan to get on the plane back to Seattle as quickly as possible following my test, which means that I have to have all of my luggage in the car before we leave. Kate and Luke are both already in the kitchen, eating breakfast and watching the news through the doorway to the living room, when I make it downstairs. Kate is listening to the weather report with mild interest, but Luke seems to spend equal time glancing at the TV and then back through the kitchen window to the snow falling outside. “It’s really coming down,” He says nervously, as I pour myself a mug of tea and pull a sleeve of saltines out of the box in the cupboard, which is the only food I’ve been able to manage in the mornings for weeks. “I heard last night that we’re supposed to get up to five more inches today,” I tell him. “That’s called climate change, my dear,” I say, as I too turn to watch the forecast. Unfortunately for those who don’t get to fly across the country for the next week, the huge storm brewing just off the coast that will be dumping snow and freezing rain on the entire Boston metropolitan area for days was just upgraded in severity this morning. While I listen to the weatherman list the all the precautionary measures people should be taking to weather the storm, I actually find myself happy, for once, that I’m going to be stuck on an airplane for hours. “Jeez, you’d think he was predicting the apocalypse,” Luke says, when he finally holds up the remote to turn off the TV. “No, the other Ana,” She says, rolling her eyes and then nodding towards the kitchen counter. I quickly scramble out of my seat and hurry to retrieve the thick envelope and when I look down and see my dad’s messy handwriting, I immediately feel tears of relief spring to my eyes. Ray has been in an active combat zone for months with no access to the mail system, so I haven’t heard from him since the last letter I got back in August. No one has been willing to say it, I haven’t even allowed myself to consider the possibility, but the complete silence has left the lingering fear in the back of my mind that the worst has happened. Now that I have confirmation that it hasn’t, I can’t rip into his letter fast enough. I didn’t think it was going to happen, but by some miracle it did. I’m back on base, safe and sound, and I’ll be able to call you on Thanksgiving. I can’t tell you how much I’m looking forward to the sound of your voice, my darling baby girl. I’ve missed you so much. Suddenly, the now expected nausea hits me full force and I have to run for the toilet, but I’m not sure whether it’s because of the pregnancy, or the horrifying images of my father on the battlefield that has me wretching up everything inside my stomach. “It’s… fine,” I call back. I reach up to flush and then peel myself off the floor to rinse my mouth out. It takes a couple deep breaths to calm my stomach, but once I’m sure I won’t throw up again, I turn to open the bathroom door, only to find Luke and Kate standing in the hallway waiting for me, cautious looks on both their faces. “I’m fine,” I reassure them again, more firmly this time. “Yeah, it’s what I wanted,” I agree, and then I step out of the bathroom to gather my things for class, still trying to shake the sense of unease my dad’s letter leaves me with. Kate is done with classes until after the break, so while I make my way to campus with Luke, she’s staying behind to finish up the last few items she has for the Crimson before we head back to Seattle. I’m grateful because, unlike Luke, Kate wouldn’t be able to hold back from asking questions about my letter and I don’t really want to talk about it. I don’t even want to think about it. My entire body feels stiff with a mixture of fear, guilt, and pain, and the only thing I can do about it right now is try to push the thoughts of what my father may have just gone through out of my mind, think over what I’ve been studying for the past week, and try to distract myself by staring at the snowflakes falling around the car. Now that we know I’m pregnant, even Luke has started to question whether or not keeping Christian in the dark about Leila is a good idea. The truth is I’m not sure if he’s right or not, but Ray is the reason I can’t bring myself to tell him. I’ve always felt guilty over the sacrifice my father has made to allow me to get into and stay at Harvard, but that guilt has been magnified ten times over since Christian started paying for my school. My dad being in Iraq, seeing the things he’s seen and living the way he’s been forced to live for almost four years, that’s all for nothing now. If he hadn’t re-enlisted for another two years after coming home the summer after my Sophomore year, nothing would have changed for me. He’s endured this for nothing, and everytime I think about that, it feels like my heart is being ripped out of my chest. The only thing that I can think to do to make sure that he isn’t completely devastated when he finds out, is to graduate. I have to graduate so all of this means something, and I know in the deepest part of my soul, that if Christian finds out about Leila, that’s not going to happen. He’s made it clear ever since I’ve come back here that he’s tolerating me being here, but that it’s not what he wants. He wants me home. When I told him I was pregnant, that was the first thing he went to, and even after the tentative truce we made that night about me staying in Cambridge, he’s hinted at least three more times that he’s not happy about the arrangement. Leila will be an excuse, but if she is only here to do me harm, which I’m not even sure about anymore since I haven’t seen her since New York and the more I think about that day, the less and less I’m sure about what I saw, what’s to stop her from following me to Seattle? I’ll still have the same security team back home, would I really be safer there than I am here? I don’t think so. I’m not being careless. I’ve followed Luke’s and Taylor’s rules to the T. I just need to make it six more months. Six more months and I’ll have my degree and I can move home. Everyone will win. “How long do you think you’ll be?” Luke asks, as we approach the parking lot closest to the building my test is taking place in. “I’m not sure, it depends on how many essay questions there are. An hour, maybe?” I reply. I nod and climb out of the car, and while we walk to the Barker Center, we make a plan for getting out of here as quickly as possible. Luke takes me all the way to my classroom, telling me he’ll be back in an hour with Kate and for me to wait for him here if he’s not back by the time I’m finished, and then leaves. Once the rest of the students settle in and the professor enters the room, covered in snow and clinging tightly to a briefcase filled with tests, I force myself to forget about the letter from this morning, about Leila and whether or not I’m making a huge mistake, and focus my attention towards the front of the room. Unfortunately, the test is much harder than I thought, and I was already prepared for it to be difficult. Nearly every question requires at least three to four long paragraphs to answer and my final two essays are over two pages each. The hour I estimated for Luke quickly comes and goes, but I’m so engrossed in the test I don’t even notice until my phone, along with every other phone in the room, suddenly begins beeping or vibrating. “Professor Vaughn, what does this mean?” A girl with blonde curls a few desks away from me asks. The professor quickly glances over at his computer, his mouse clicking furiously as he works his way through whatever it is he’s looking at, and then he frowns. I see some people around me exchange nervous glances, and a few even get up to turn in their tests, despite the fact that they haven’t completely finished. I look up at the clock on the wall and then to the door, where I can see the silhouetted form of Luke pacing back and forth through the opaque window. I’m most of the way through my final essay, so I take a deep breath, re-focus, and then hurry through the rest of it. It’s nearly noon by the time I leave my class and as Luke nearly drags me through the snow towards the waiting car, I feel a creepy sense of unease cross over me. I’ve never seen campus so deserted while classes are supposed to be going on. The silence around us is almost eerie. “Oh my god, what took so long?” Kate asks, when I finally climb into the car and we pull out onto the road. Suddenly, the low music playing over the stereo cuts out and is replaced by a flat ringing tone. “Speaking of Grey…” Luke says, reaching down to press the button on the steering wheel to answer the Christian’s call. “Sawyer,” He says in greeting. “Do you have her?” Christian asks urgently. “Yes, sir,” Luke says again. “I love you, Christian,” I call as Luke reaches down for the button to disconnect the call. Luke hangs up and we both look out the windows at the snow again. We’re on the highway now, crawling our way over the snow, and there are several cars on the side of the road, having clearly slid off. “You girls have your seatbelts on, right?” Luke asks. “Yes,” I reply. Kate doesn’t say anything so I glance over at her and see that she’s not paying attention to us at all. She’s gaping through her window at a car that looks as though it’s flipped over the median from the other side and is currently resting upside down in the far left lane of traffic. “No, no stopping,” Luke says. “But they might be hurt! Someone could be stuck,” Kate argues. Kate bites down on her lip and then looks guiltily out the window at the car slowly disappearing behind us. I can see the conflict on her face and I feel it too, but Luke is right. Watching the blizzard brewing around us gives me a deep feeling of unease and I’m already worried about what we’re going to be told when we get to the airport. Even if we do get on a flight tonight, I can’t imagine flying through this mess is going to be pleasant. The normal 30 minute drive into Boston takes over an hour and a half between the snow, traffic, and countless accidents we see piling up alongside the road. When we finally do pull into the long term parking garage at Logan International Airport, I glance quickly over at the runway and the fact that I don’t see any planes taxiing over the airfield, doesn’t make me feel better. It’s ridiculously crowded inside, with possibly hundreds of people sitting on their suitcases or fighting to get to the ticket counter. Luke takes my luggage from me and then uses his free hand to pull me over to the departures board, Kate dragging along in the wake we leave through the crowd. I know, like me, his eyes immediately scan every line looking for anything with a departure time, but each and every row is punctuated with the blazing red letters that spell out CANCELLED. He presses his lips together in concentration as his eyes dart back and forth between the giant windows displaying the still heavily falling snow outside and the ticket counter, and I can tell from the expression on his face that he isn’t sure. “Okay,” I nod, and as I reach back to take Kate’s hand, Luke pushes his way over to the ticket counter. There aren’t any seats left, so we make our way to the only place there seems to be room for the two of us to stand with our luggage and then pace back and forth, watching the snow accumulating steadily over the next hour. “No, it isn’t,” Luke says, coming up behind us and surprising us both. “It took us almost two hours to get here from Cambridge, Ana. Do you know how long it would take us to get to Springfield?” Luke asks. “We’re going to try,” He says, and he picks up my bag and then reaches for my hand before leading us back out to the parking garage. I reflexively reach down to place a protective hand over my stomach. This is bad… and I’m just starting to realize how bad. I might not get home… This storm could last days, maybe the whole week, and if nothing is getting out until it passes, I could miss the whole week I’m supposed to spend with Christian. It’s worse getting home than it was getting into Boston. The news report about the car accidents wasn’t descriptive enough in how the number of accidents has left traffic at a standstill. 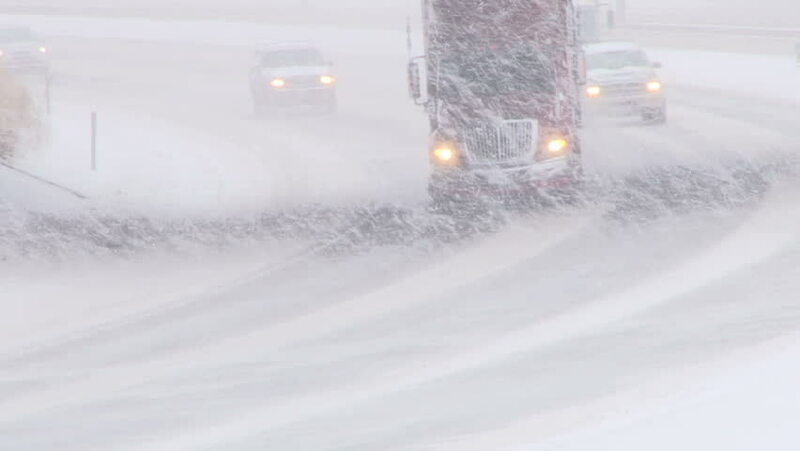 They can’t even get the snowplows through the roads as ambulances and firetrucks take priority getting to the injured victims on the side of the highway, so the snow continues to accumulate on the roads making them a slick, tractionless nightmare. My house is only about 10 miles away from the airport and despite the fact that we’re driving so slow I truly believe I could have walked there and back by the time we finally pull onto our street, we’ve nearly slid completely off the road three times. I imagine my heart rate is off the charts from the stress of the drive, and as Luke helps me from the car and safely back into my house, I find myself wishing I could feel the baby inside of me moving or kicking just so that I would know it’s okay. Since I can’t, I’m close to panicking. We’d turned the heat way down before we left this morning since we thought we were going to be gone for a whole week, so coming into the kitchen through the back door doesn’t feel very comforting. Kate immediately makes for the thermostat and, while Luke pulls blankets and heating pads from the hall closet, I call Christian. “I know, I’m sorry. I don’t want to be here either, but we’re stranded.” I say, and he let’s out an irritated breath. “Yeah, now,” I reply sardonically. “Talk to me when Rainier blows.” I wait for his equally sarcastic response but it doesn’t come. He’s silent for a long beat, and when he finally does speak again, his voice is quiet. “Bye.” I hang up the phone and stare down at it for a moment. I’m not sure exactly when the airports were shut down, but now that I’m stranded in my house, I can’t help but wonder if I could have prevented it. If I’d been less wordy on my essay questions, or maybe just turned in my test when the people who bailed early did, would I be in Seattle now? I don’t know, and I think not knowing is going to drive me insane for as long as I’m cooped up in here. I make my way back out to the living room and find Kate glued to the news while Luke stands in front of the living room window, probably watching to see if the snow is letting up. It isn’t though, so instead of letting the sight of the white out going on outside crush my spirits even further, I sit on the couch to cuddle under the blanket with Kate and focus on the TV, hoping we’ll at least get some good news about the airports being reopened. Unfortunately, most of the news stories over the next few hours revolve around car accidents and a house that flooded over in Somerville after a frozen pipe burst in some poor guy’s basement. By the time the later hours of the night creep by, a state of emergency is declared for the entire Boston area, and Kate and I both watch nervously as Luke reaches into his pocket for his phone, and then steps out of the room to talk to Taylor. “Why? What’s he doing?” I ask. “Oh, good lord,” I say, rolling my eyes and getting off the couch. I head up to my bedroom, knowing this could take a while, and it does. I spend nearly 30 minutes doing everything I know to do to placate Christian, but by the time I get off the phone with him, I know everything I’ve said is only going to keep him calm for a few minutes once I’m off the phone. I have a feeling he’s going to call me every five minutes for the rest of the night. I might even have to turn on Skype when I go to bed, just so he can see I’m still breathing once I’m asleep. Sleep seems to be impossible by the time 11 o’clock rolls around, though. The wind has picked up outside and the silent drifting snowflakes have been replaced by loud, thumping hail bouncing off the roof. The snow covering everything we can see through the windows is now coated with a bright, shiny layer of ice as the hail and freezing rain pour down over the top of the pristine white blanket. The TV signal is cutting in and out, which is driving Kate insane, but Luke seems to be preoccupied by the telephone wires over head swaying violently back and forth in the wind. “Is there wood for the fireplace, anywhere?” He asks, not turning around to look at us. “I don’t think so,” I reply, but Kate places her hand on my arm, and then interjects. “Just go,” He tells me, and then he grabs his coat off the hook by the door and disappears through the kitchen and out into the storm. Kate and I hurry to do what he’s asked of us, and just as I’m climbing on the dryer to reach the back of the cupboard where we keep the first aid kit, the lights above me flicker twice and then go out. “In the laundry room, Kate!” I yell back. My fingers clasp around the plastic handle of the first aid kit, and after I’ve pulled it down at gotten back on the floor, Kate comes through the laundry room door, holding her cellphone up as a flashlight. We walk back out into the living room and find Luke kneeling next to a large pile of wood with his head in the fireplace. Without the heat constantly blowing through the vents, the house is already starting to feel drafty, so while we wait for Luke to build the fire, Kate and I climb onto the couch and curl up under the blanket once again. It’s so much worse now that we don’t have news reports to give us storm updates. We’re completely isolated in the house with nothing to do but watch the wood Luke brought in from the shed, our only heat source, slowly burn away under the mantle in the living room. We were able to follow some news through our phones for a while but the cell phone towers must go down not long after the city wide blackout because soon, we lose cell service too. It means I’m completely cut off from Christian, and I can only imagine what that’s doing to him right now. “Ana, when’s the last time you ate?” Luke asks. “Uh… this morning, I guess. Before my test,” I reply. “I’m fine,” I tell him, shaking my head, but he furrows his eyebrows at me and extends his hands out further. “Right,” I concede, taking his hand and letting him help me off the couch. There isn’t much left in the kitchen since we dumped all our perishables the day before when the garbage was picked up, but there is canned soup in the cupboard. Apparently, it’s dangerous to cook food in the cans, especially for pregnant women, so Luke pours the soup into a pot, telling me it’ll most likely be ruined, and then takes it out to the fire. Using the fire pokers, he creates a bed in the logs to rest the pot on and then sets the soup over the fire to heat. Surprisingly it doesn’t take long and soon, we all have hot soup and crackers to help keep us warm as the cold from the rest of the house wars with the ring of heat contained to only the living room. Eventually, I can’t stay awake anymore to try and wait to see if the power will come back on, so while Luke brings in a chair from the living room to put by the fire so he can keep it going through the night, Kate and I cuddle up next to one another on the floor. I can feel the tension radiating off of her as we settle in to go to sleep, so I reach over to wrap my arm around her, pulling her into me to try and give her some amount of comfort. After a few minutes, her body relaxes, her breathing evens out, and she drifts off to sleep. I close my eyes too, picturing my cellphone sitting on the rug beside me and the last thought to cross my mind before I drift off is the imagined picture of Christian, 3000 miles away, staring at his phone in panic, waiting for me to call him. Whether it’s the stress from the day, the noise of the storm, or the uncomfortable floor, I don’t sleep easy that night. I dream that I’m running along the sidewalk a few blocks from my house in Cambridge, the same sidewalk Kate and I run every morning. It’s dark, which is weird, and none of the neighbors Kate and I have gotten close to over the past few years are outside. The streets are deserted and cold, and the unease of it all pushes to me to run faster. I take a right onto Antrim Street so I can make the loop back home, but I only make it a few paces up the block before I’m stopped dead in my tracks. There standing in front of me, is Leila Williams, staring at me intently. The same knowing smile she wore in the coffee shop in New York plays at her lips, and as I begin to back away from her, suddenly there are hands on me. I scream but am quickly silenced and my struggles are fruitless against the three men,who have come out of nowhere, dragging me back into a van. They lock me inside, keeping me down as they drive away so I can’t see where we’re headed, ignoring my pleas for mercy and to let me go. When we finally stop, I have no idea if we’re still in Cambridge and I’m taken into a house I don’t recognize. The men from the van carry me into a basement and tie to me to a chair, then leave me in the cold, damp room. The only thing that exists in the darkness around me is the sound of my own heavy, panicked breathing until a man’s voice, which I vaguely recognize but can’t place, speaks to me from somewhere close by. “Christian won’t give you anything if you hurt me,” I bluff, but he simply chuckles. Suddenly, I’m bathed in a blinding light and the room is filled with a high screeching noise. The man, whose face I still can’t see, takes a step towards me, his polished shoes now visible in the ring of light. I scream and begin the thrash against the ropes holding me to the chair, but just as the man leans towards me and I’m about to see his face, another voice breaks through the darkness. The screeching noise intensifies and is followed by a loud crash, and I’m jolted awake by something hard hitting my body. I scream again, for real this time, until I realize that the hard thing is Luke. He’s covering my body with his, shielding me from something, and while I’m not sure what that is, I start to notice a cloud of dust swirling in the air of my living room, mixed with a lot of loud, strange noises, and the smell of gasoline. “Oh my god!” Kate screams, quickly scrambling out of the blankets next to me and running for the kitchen. “Kate!” Luke screams at her. “Get back here!” She doesn’t listen though, and I start to hear shuffling sounds mixing with the cacophony of noises I still can’t identify. “Are you okay? Are you hurt?” Luke asks. “No, I’m not hurt,” I say quickly, and the moment the words are out of my mouth he leaps off of me and runs after Kate. It takes me a moment to orient myself, to try and sort through the last few seconds and decide what was a dream and what wasn’t. Kate and Luke begin arguing with one another and when I hear the high metal screech from my dreams, I jump to my feet. As I turn towards the kitchen though, I’m stopped dead again, and my mouth pops open in shock. The kitchen wall is destroyed, a gust of cold air now pouring in through the giant hole left in the side of my house, and there, in the middle of the room where the dining room table used to be, is a car that Luke and Kate are fighting to get into to try and release the driver inside.